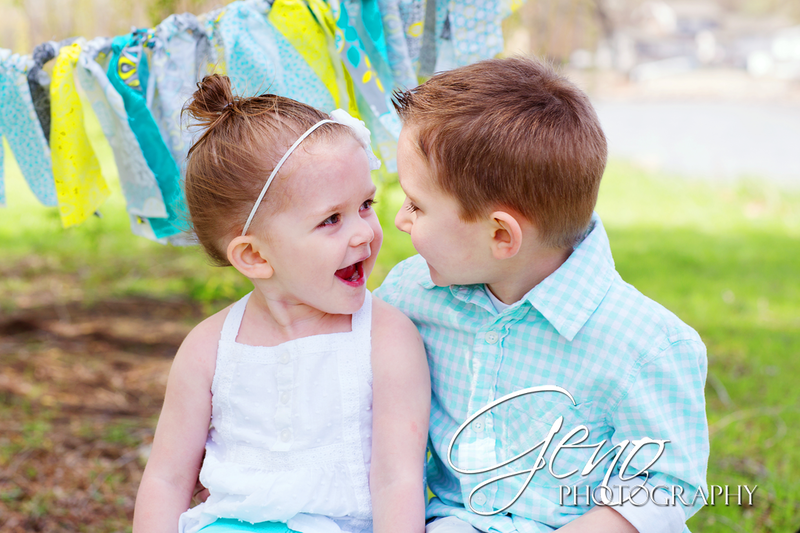 Carter and Adria came out to our Spring Mini-Sessions at City Park in Iowa City. 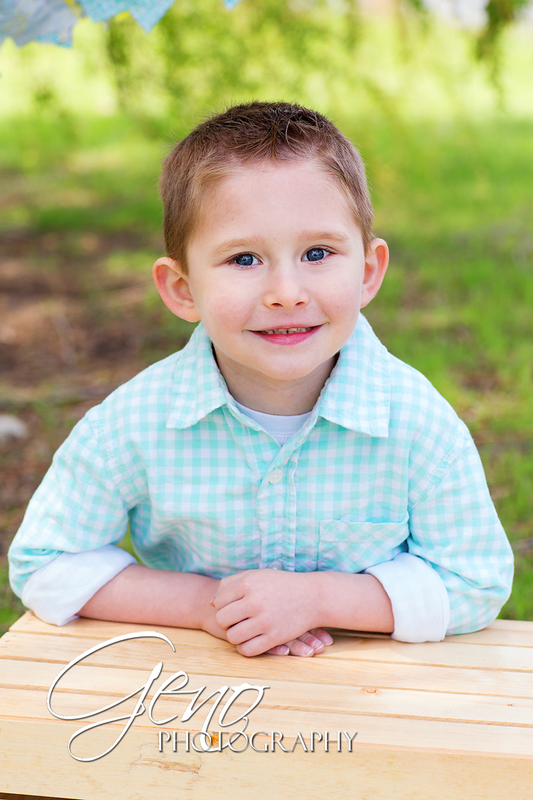 It was a beautiful sunny day and the willow tree by the river was a perfect location for us to set up. 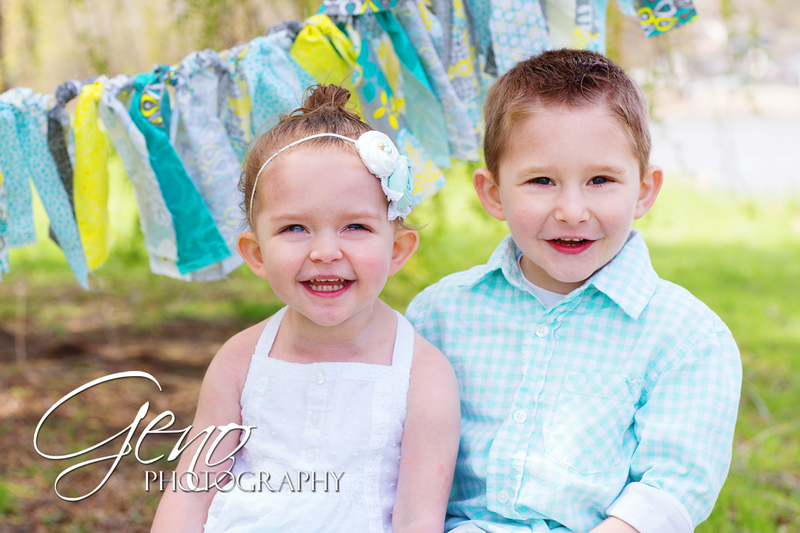 I love how well their outfits coordinated with the banner and quilt I had available for the sessions. It was amazing since we hadn't planned that at all. Carter and Adria brought along their husky, Oakley, for the session as well. 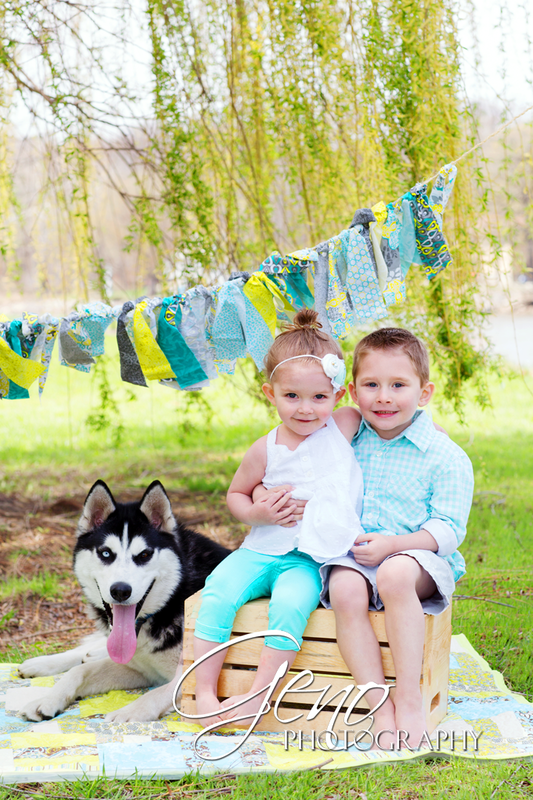 It was a bit of a challenge to get a one year old husky, a two year old, and a four year old to all look at the camera and smile, but I think the result is simply adorable! I also love the look on Adria's face in the portrait of them looking at each other. I had told them to turn and talk to one another, which resulted in them keeping their faces super far apart and just staring at each other. To get their faces closer, I asked them to touch noses. While this didn't happen, they did get their faces closer and Adria thought that was a simply hilarious request. 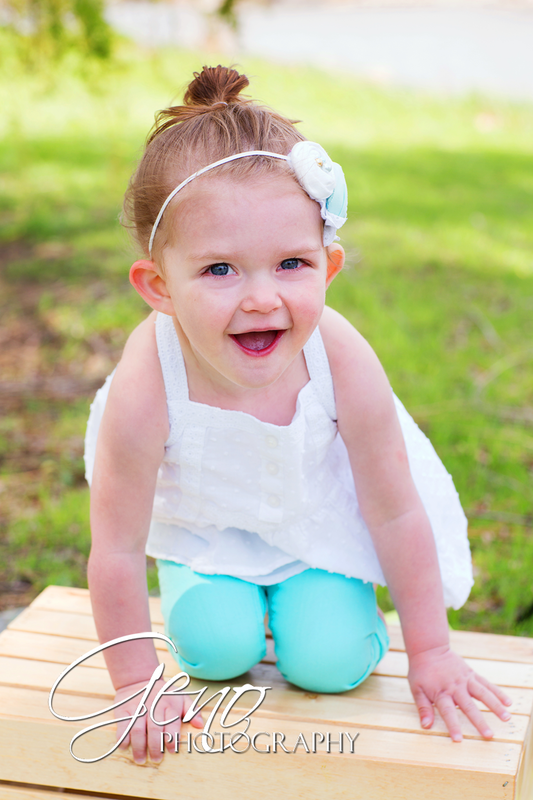 Such a cute smile resulted!